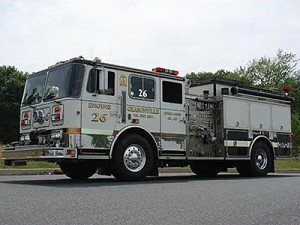 Engine 26 is a 1992 Seagrave 6 person enclosed cab. This unit is powered by an 8V92 Detroit 450Hp engine with an Allison Automatic transmission. This unit is equipped with a 1250 GPM Waterous pump and carries 1250 gallons of water and 50 gallons of foam. 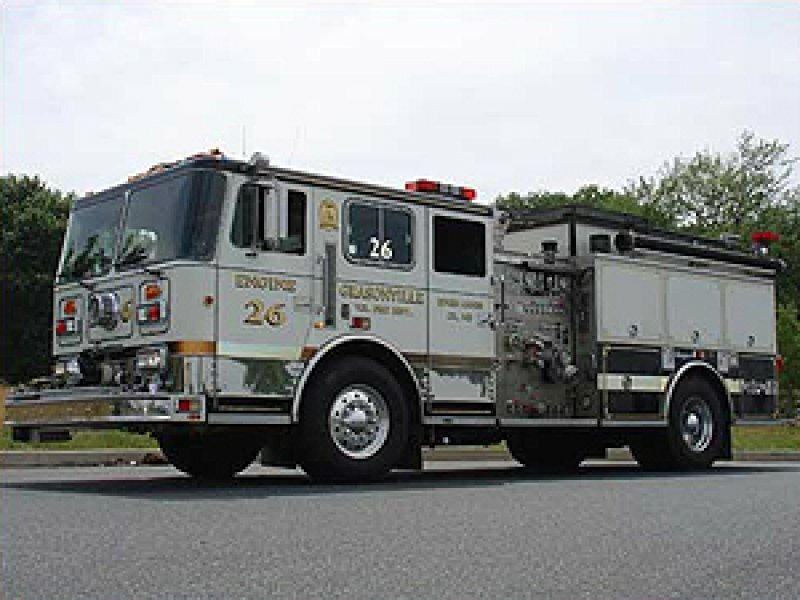 Engine 26 is our second run engine for fire related calls and First due for all rescue incidents after Rescue 2. 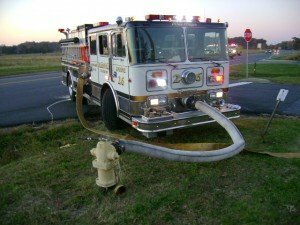 E-26 also carries rescue equipment, such as, 1 gas powered Hurst power unit, 1 set of spreaders, 1 set of O-cutters, 1-3' ram and 1-5' ram with an assortment of cribbing. It has a 1 ¾” 100ft bumper line, 2-1 ¾” 200 ft pre-connects off the rear, a 150 ft 3” pre-connect, a 600 ft 3” supply line, and 1000 ft of 5” LDH Hose.